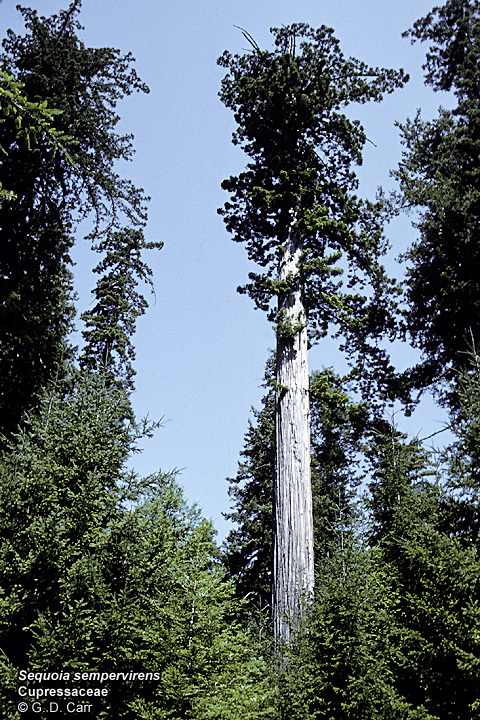 Each "thumbnail" image below is linked to a larger photograph. 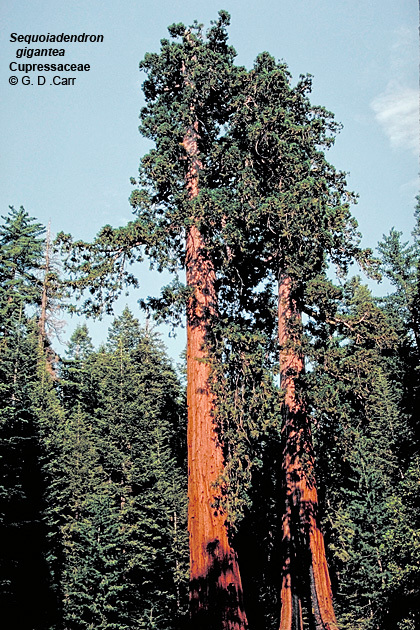 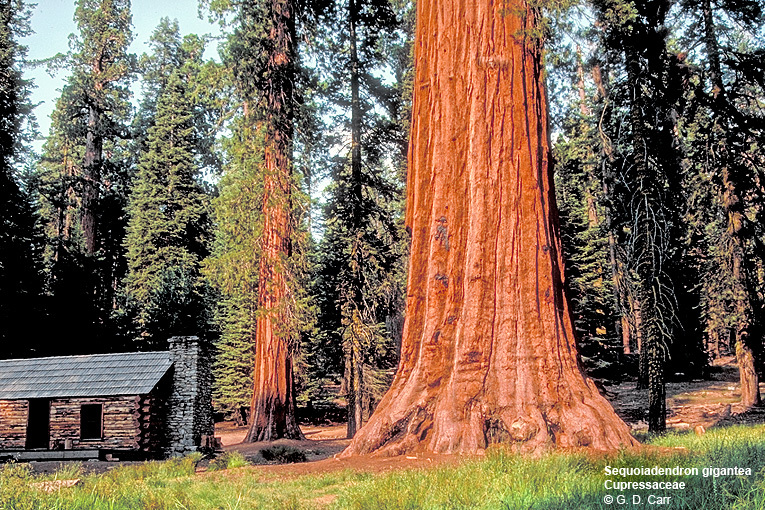 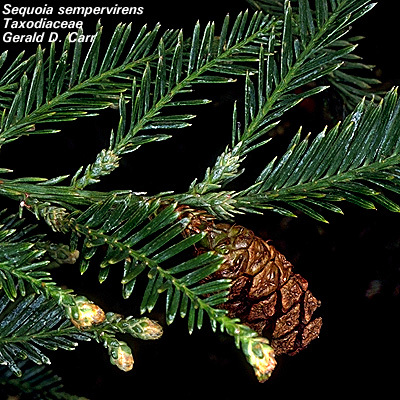 Sequoia sempervirens, coast redwood. 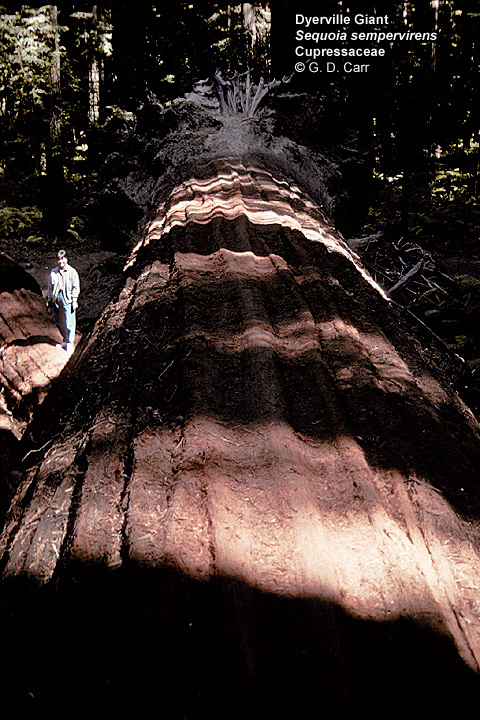 The middle photo shows a fallen giant; the third photo shows a mature female cone. 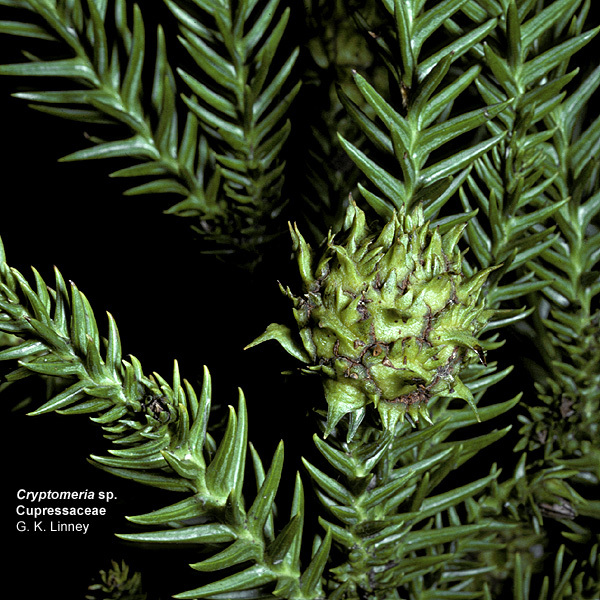 What appear to be young female cones developing at the tips of shoots may be seen below the mature strobilus.